Brilliant idea for a map, make it virtually indestructible. 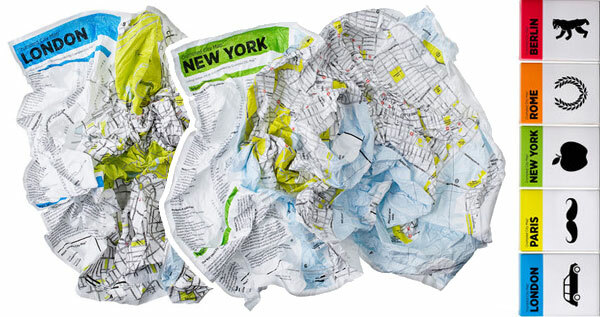 These maps are waterproof, tear proof, lightweight and you are encouraged to screw them up and chuck them in your bag. No more folding yey.